As we celebrate American Heart Month, we wanted to put together something that would help to raise awareness of heart health issues in America. While browsing through pamphlets at the doctor’s office, you’ve probably seen the term cardiovascular disease. But, what does it mean? Of course, we all know that it has something to do with heart health. Which, let’s admit, for most of us is a concept we don’t think about until we have too. However, understanding and focusing on cardiovascular health before it becomes a problem can help prevent cardiovascular disease in the future. The term cardiovascular disease simply refers to any disease that relates to the heart (cardio) or the blood vessels (vascular). It’s pretty simple once we dissect the words. Two of the most common forms of cardiovascular disease include heart disease and stroke, a couple of terms that we’re probably all a little more familiar with. They are also two of the three top reasons for death in developed countries. The good news is that healthy eating habits combined with physical activity can improve our cardiovascular health and prevent many cardiovascular diseases. As we all know, our blood is pumped throughout our bodies through blood vessels. As cardiovascular health deteriorates, plaque begins to build up on the inside of our artery’s, making it more difficult for blood to travel through the body as it needs to. 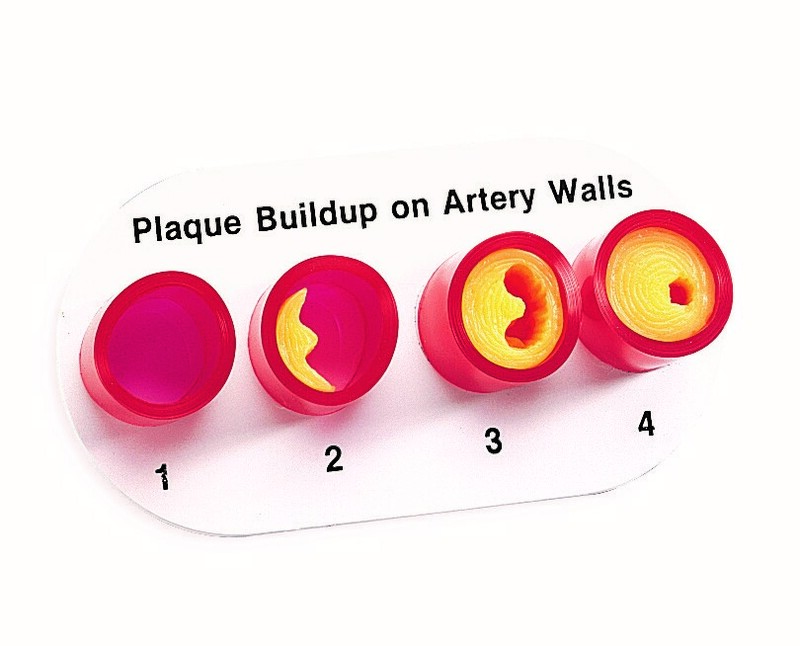 This concept is demonstrated in the Artery Section (product # 4143 in the NCES catalog). As this plaque builds up, different cardiovascular diseases begin to develop, which can lead to catastrophic diagnoses and events. The effects of cardiovascular disease are nothing to ignore. If left untreated, cardiovascular disease can leave a person paralyzed, permanently disabled and can even lead to death. If you’re interested in learning more, or need to educate others about cardiovascular disease and its long-term effects, take a minute to view our Cardiovascular Nutrition DVD. You can preview and purchase the DVD here. We hope you’ve learned a little more about cardiovascular disease than you knew before reading this blog! At NCES, our dietitians have hand-selected products that can be used for heart health education. Click here to browse this category. To join the conversation on heart health for American Heart Month, take a minute to share this blog with your readers. Together, we can fight against cardiovascular disease in America.